At first glance, it looks like any other boxing class. But look closer and you notice these aren’t your average fighters. This group of men and women ranges in age from early 40s to 80. They have more in common than fierce determination and a passion for fitness. Each of the 18 people suffers from Parkinson’s disease. But you wouldn’t know it from how Coach John Miller is pushing them. 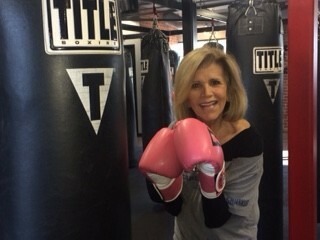 Miller is a certified trainer in the Rock Steady Boxing program out of Title Boxing Club in Carlsbad. The program originated in Indianapolis 10 years ago when Scott Newman discovered improvements in his Parkinson’s symptoms after a boxing workout. He experienced extreme benefits to his mobility, balance, hand-eye coordination and agility. Intrigued, he hired a former boxer to head the program, which now has over 300 affiliates. And fall they do. One of the biggest risks with Parkinson’s is falling, which increases as mobility becomes more limited. Rock Steady Boxing Carlsbad teaches techniques for falling, as well as getting down and up off the ground. Before joining Rock Steady Boxing Carlsbad, Label struggled with confidence and hesitated to talk about his disease. Today, he’s on the board of directors for the Parkinson’s Association San Diego chapter, which is currently in danger. He’s urging everyone to participate June 11 in a fundraiser walk at Liberty Station. Label isn’t the only fighter who’s experienced big changes. “We have an 80-year-old in the class who first came in with a walker and a caretaker,” he said. “Last week, he was doing squats and walked out by himself.” Two others hadn’t left their houses in months due to depression. “Now they can’t wait to get to the club, they join us at parties,” he said. Miller invites anyone with Parkinson’s looking to improve their overall quality of life to email him about Rock Steady Boxing Carlsbad at Carlsbad@rsbaffiliate.com. Title Boxing Club is at 3247 Camino De Los Coches. 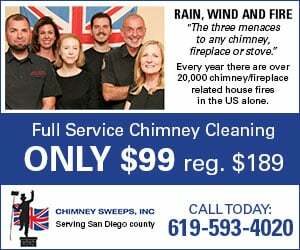 Call (760) 633-4822 or visit carlsbad.rsbaffiliate.com/. This article is sponsored content.